There is a strange phenomenon with Nokia. While it’s not uncommon to hear people wishing for the doom and demise of some reputable brands like Samsung, Apple, and BlackBerry, Nokia frequently seems to be the mobile industry’s favorite comeback kid. Wildly successful in the era of simpler cell phones, Nokia has had a rough time adjusting to life post-smartphones. From Symbian to Windows Phone to Microsoft, the Nokia brand is now being licensed through HMD Global, who has already pleased crowds through nostalgic appeal with a reboot of the iconic Nokia 3310 handset. 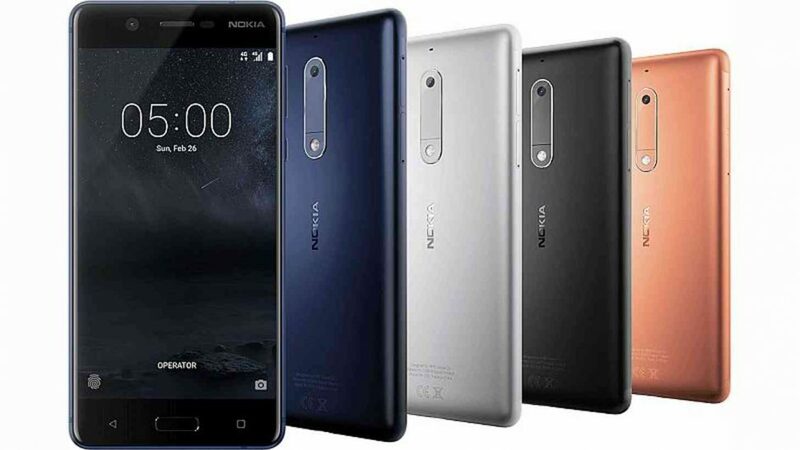 While the 3310 reboot is all in good fun (and a decent pick-up as a first or backup phone), HMD Global made it clear this weekend that Nokia’s smartphone journey, however complicated it may have been, still isn’t over as the company unveiled two new mid-range Nokia Android smartphones alongside the announcement of a global release of the Nokia 6, which was previously an exclusive to China. We feel so interesting to see HMD Global decided to offer such a vast array of mid-range devices as HTC recently revealed that they would be focusing solely on flagships specifically because the market for budget smartphones is so competitive; but as I mentioned, I think there’s a unique soft spot for Nokia, and that might be the key to making an otherwise risky venture work. In fact, the Nokia 6, 5, and 3 are simple and priced appropriately so. They all classify as mid-range and vary mostly in size and performance speeds; price tags don’t exceed $350; the devices run a “pure” version of Android, and HMD Global has stated that they are dedicated to monthly security updates. The phones also have a minimalist design with neutral colors. Really, there’s nothing very pizzazz-y about these Nokia Android smartphones, and that might be a good thing. The phones are inexpensive, so feature-wise people probably aren’t expecting them to do much beyond the basics. Deciding to be as close to pure Android as possible couldn’t have come at a better time given last year was the first year that Google opted not to release a Nexus – a brand that had become known for being a cheap option for pure Android enthusiasts. It also falls in line with the very reason why people are nostalgic for the Nokia brand in the first place, which is simply that the brand was most famous during a much simpler time period in mobile. I mean, when the biggest show-stopper of Mobile World Congress in 2017 is a feature phone with a 240 x 320 display, a VGA camera, and Snake, going simple doesn’t seem like such a weird idea after all. HMD is bringing Nokia back with humble beginnings between its 3310 reboot, mid-range Android smartphones, and a focus on health with rebranded Withings smart gadgets (such as a smartwatch and smart scale) and revamped Healthmate app. Not much has been said regarding a potential Nokia flagship to take on the likes of brands like Apple and Samsung, but you know how the saying goes: Good things come to those who wait. Until then, the Nokia brand seems like it stands a good chance to make a high impact on the lower end of the market.